You are here: Home / Portfolio / HUNTER DOUGLAS SEASONS OF STYLE REBATE PROGRAM IS HERE! 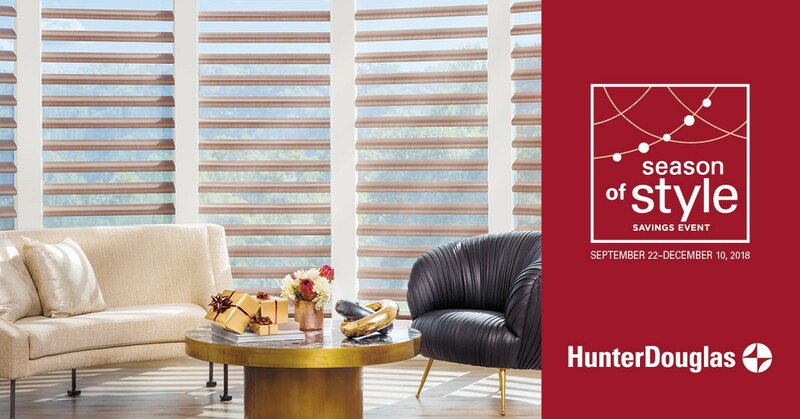 Hunter Douglas is giving back to you this season! Contact the studio to find out how before the promotion ends. Previous Post: « TIME TO VOTE FOR BEST OF THE BEST IN INTERIOR DESIGN!